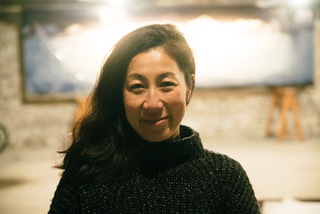 We are delighted to introduce dance artist, Aya Kobayashi, who has recently joined the team as Barrowland Ballet Associate Artist, working across our education and participatory programmes. Originally from Japan, Aya moved to the UK over 15 years ago to continue her dance training at Rambert School before completing her MA in Dance Performance at the University of Chichester. As a performer she has worked with choreographers including: Rosemary Lee, Charlie Morrissey, Yael Flexer, and Gecko Theatre. She practices improvisational performances and is currently a member of Collective Endeavours. She also works with galleries including the Tate (London), V&A Museum of Childhood and Tramway, Glasgow and enjoys creating participatory works and facilitating workshops in interdisciplinary artistic environments. Aya enjoys working with inclusive and intergenerational groups and is dedicating to developing and linking the arts with the community. For 9 years, she was resident choreographer and rehearsal director for Anjali Dance Company in Oxfordshire, which works with professional dancers with learning disabilities. In 2015/16 she directed a large-scale site-specific community dance performance in Ofunato, one of the tsunami disaster areas of Japan and she has also worked with inclusive groups in Egypt and Mexico.